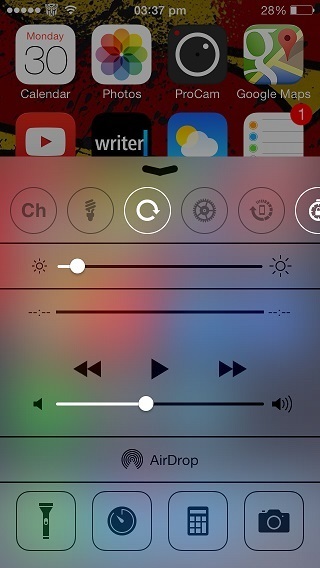 Ever since the release of evasi0n jailbreak one of the focal points of tweak developers has been iOS 7’s Control Center. A lot of different tweaks have been released for this particular part of iOS that aim to make it even more useful. Many tweaks released for the Control Center are so good that you cannot help but wonder why didn’t Apple thought about including these features. Here we have featured some must have tweaks for every iPhone, iPad or iPod touch user who wants to supercharge his or her device’s Control Center adding new features and boosting its functionality. The CCQuick tweak replaces the stock buttons for Calculator, Flashlight etc with new buttons that many users would find even more useful than the ones that are there by default. 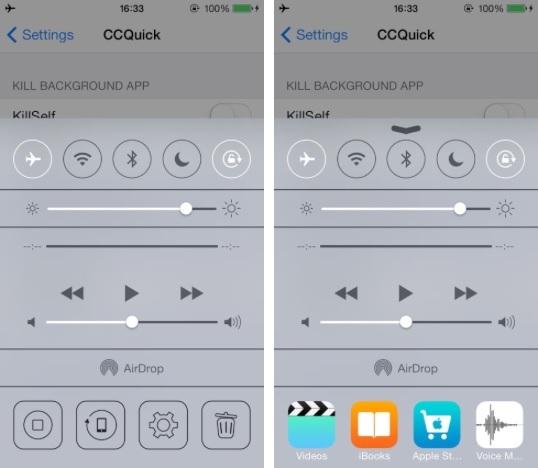 CCQuick adds a virtual home button, respring button, shortcut for settings and a button capable of killing all running apps to the Control Center. It is a two-in-one tweak that also includes iOS 6 style task manager allowing users to jump from one app to another without pressing the home button. The task switcher starts from the second page. The emulated home button and the task switcher features of this tweak are great for those who have faulty home button and are waiting for Zephyr to update for iOS 7. 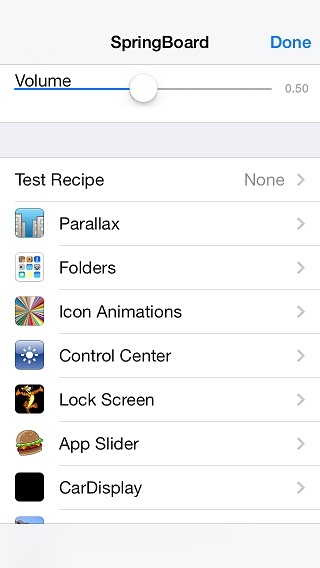 CCQuick is a free tweak and is currently available from Cydia. The FlipControlCenter tweak by Ryan Petrich allows users to add more switches to their Control Center’s toggle bar making it more convenient for users to turn on or off even more system services. Some of the switches this tweak adds to toggle bar are switch for LTE, Respring, VPM, Do Not Disturb, Location Services and more. FlipControlCenter is also available as a free download. CCToggles tweak is an extension to FlipControlCenter and makes it capable of putting icons for apps in the toggle bar. As it can be seen in the screenshot above the ‘Ch’ switch is for Chrome Browser and launches the app when tapped. Users can add shortcut to any app they want. The tweak will use the first two letters of app’s name to help user recognize the function of the app. You can grab it for free from Cydia. The CCQuick tweak puts the iOS 6 style multitasking switcher to the second page. But if you want it on the first one then ControlTask tweak is for you. This makes it easier for users to switch between running apps without pressing the home button twice. HiddenSettings7 tweak enables iOS 7 users to access the SpringBoard Settings that were not supposed to be accessed by public officially. The settings consist of plethora of settings meant for internal testing that are even more advanced than the Springtomize 2 tweak. 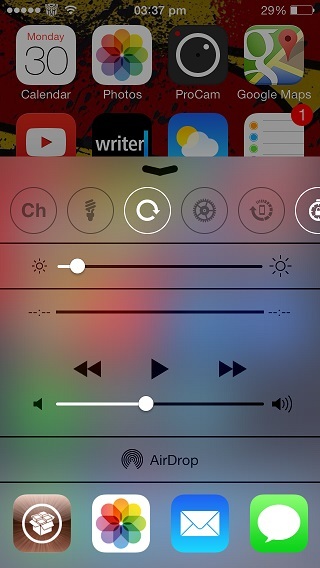 The button for the SpringBoard settings is added in the Control Center and consists of following settings. So there you go folks, these are the best and must have Cydia tweaks that really supercharge the Control Center’s functionality. You can read about our full coverage of Cydia tweaks here.